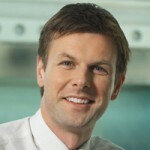 Most people will encounter the same problem that messages are just mistakenly deleted from iPhone without notification. The best way to avoid the issues is to find easy ways to backup text messages on iPhone in time. 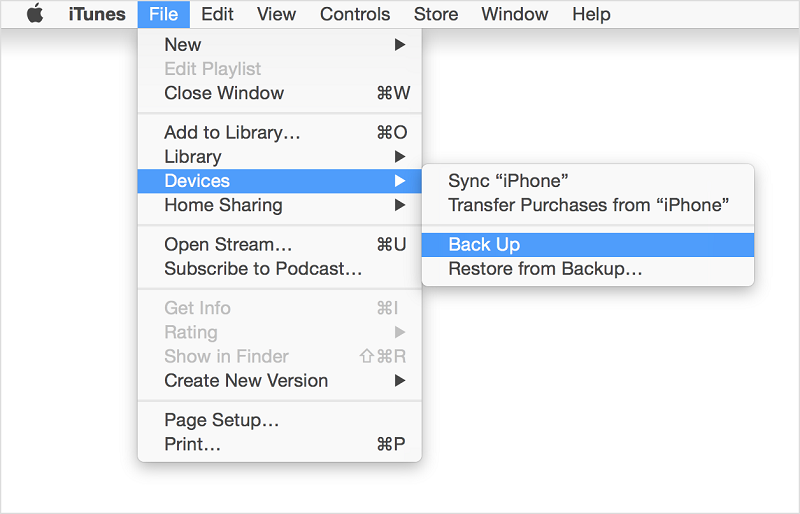 This article shows you three ways to backup iPhone text messages to computer, iCloud and iTunes separately in steps. Choose a way you want now. 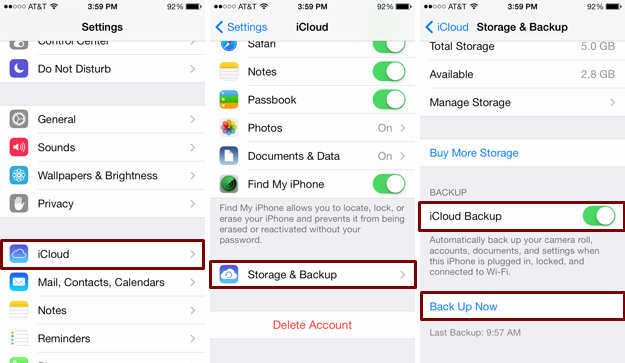 To backup SMS with iCloud, you need to go the "Settings" on your iPhone. And then choose iCloud. After you've entered into "iCloud" menu, click on "Storage & Backup". Turn on "iCloud Backup" feature. If you want to make the recent backup, you can click on "Back Up Now". Convenient to use, and simple interface. Space restriction, and can't backup selectively. The backup file can't be accessed but only for entire restore. To begin the process, connect iPhone to computer using a USB plug. It may take a few moments to recognize the new device before pressing forward. Every new comes with a USB cord. Open iTunes and then go the the "File" tab. Click it to open the drop-down menu. From the submenu, you need to select "Devices" and then choose "Back Up". The iTunes will start backing up your messages from iPhone. Can't backup selectively. The backup file can't be accessed but only for entire restore. 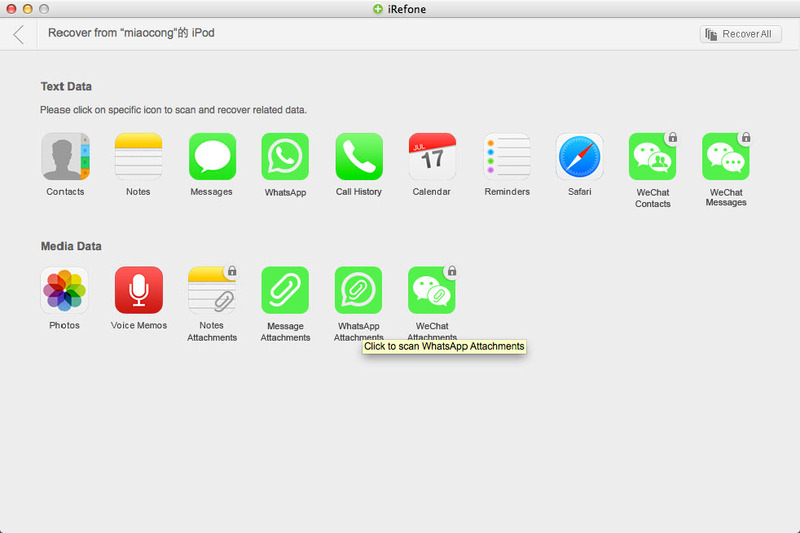 To iPhone SMS in a hassle free way, you can also apply a iOS data recovery tool- iRefone for Mac. With this tool, you can directly backup iPhone text messages from your iPhone, iTunes or iCloud backup file to your computer. The iPhone SMS backup created by it can be easily accessed and read on your Mac or windows computer. It is fully compatible with iOS 9 and iPhone models including iPhone 6s, iPhone 6s plus, iPhone 6, iPhone 6 Plus, iPhone 5s, iPhone 5c, iPhone 5, iPhone 4s, iPhone 4. And there is an equivalent version for Windows users, iRefone to aid you to back up text messages from iPhone on Windows. Step 1. 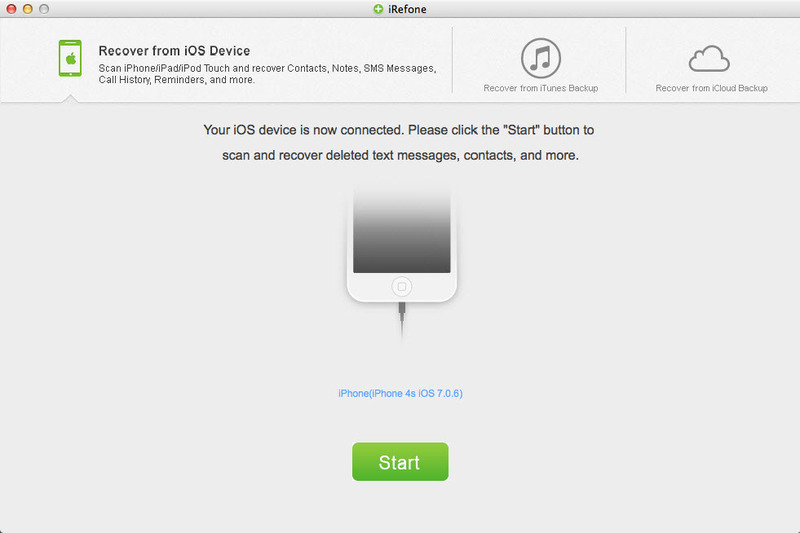 Launch iRefone for Mac. Choose "Recover from iOS Device" mode. Please connect your iPhone to the computer so as to scan messages from it. Click Start button to run. Step 2. Scan messages from your iPhone. Click on Messages item and it will start scanning automatically. Step 3. Preview and choose text messages to backup. 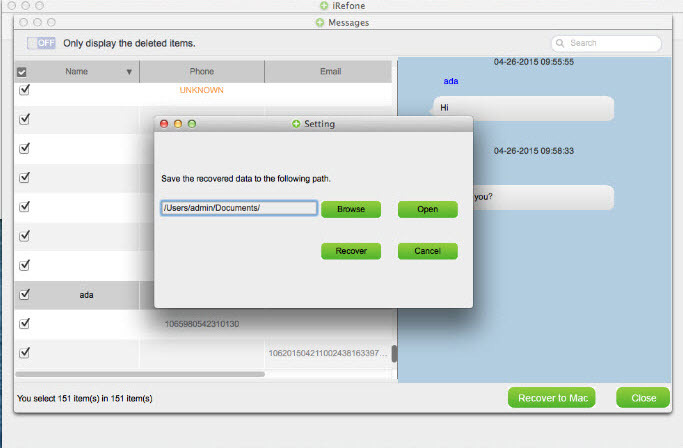 After scanning, you can pick out your wanted text messages and then, click Recover to Mac and all will be transferred to your computer. Here we offer you three ways to backup iPhone messages. Just pick one according to your own situation.